The official flag of Hawaii designed at the request of King KamehamehaI features eight stripes of white, red and blue that represents the eight main islands. The flag of Great Britain on the upper left corner highlights Hawaii's friendship with the British. 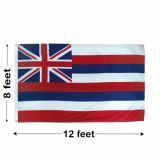 Celebrate the spirit of Hawaii with our complete line of Hawaii flags that are made of precision and quality. 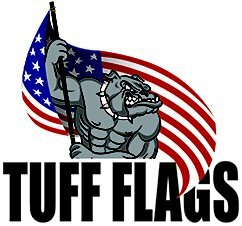 100% made in the USA, our industrial grade flags are designed to last long and look great for a very long time. Available in various material choices like nylon and polyester, Hawaii Flags are available in various sizes of 3’x5’,4’x6’, 5’x8’ 6’x10’ and 8’ x12 to cater to your different flag flying needs.Shop from our complete line of Hawaii Flags right away and get the best prices, quick shipping and much more! 100% customer satisfaction guaranteed! Tuff Flags offer indoor and outdoor Hawaii flags that will proudly display your state pride. Our indoor flags are available in both plain and fringed models. Made of high quality 200 Denier nylon, these flags finished with pole hem and leather tab heading and grommets, these single face reverse flags can be used for parades or indoor flag display at homes, offices and business venues. 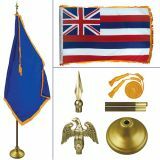 We also have an indoor flag kit that come complete with ornaments, gold tassels and poles that will make a ready to use flag display to impress your audience. Our outdoor nylon flags that are finished with grommets and heading are easy to attach and these will fly majestically even in slight breeze and will dry quickly in the event of a storm. These can be used as daily use flags as the UV resistant imprints will retain its brilliance for a very long time. If you are looking for a heavy duty outdoor flag for high wind areas, we recommend these heavy duty 2 ply polyester flags that can withstand the outdoor weather elements with ease. Browse our comprehensive collection of Hawaii Flags and pick up a model that matches your needs. Are you unable to make up your mind? 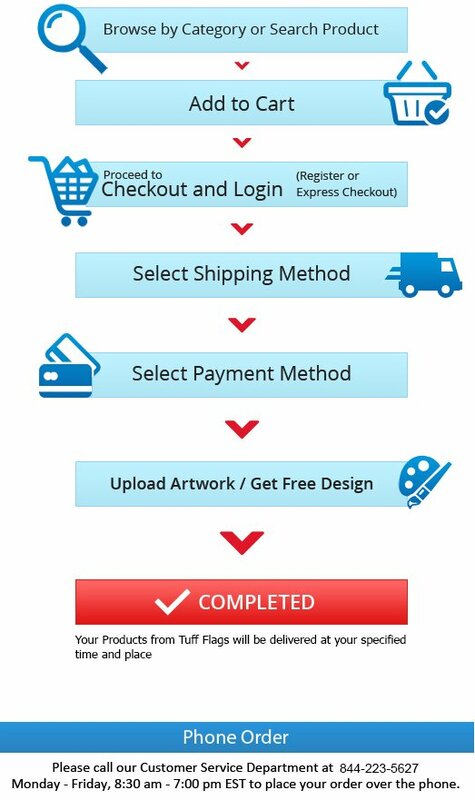 Call us at our toll free number (888) 287-3524 or email us at customercare@tuffflags.com and we can help you.